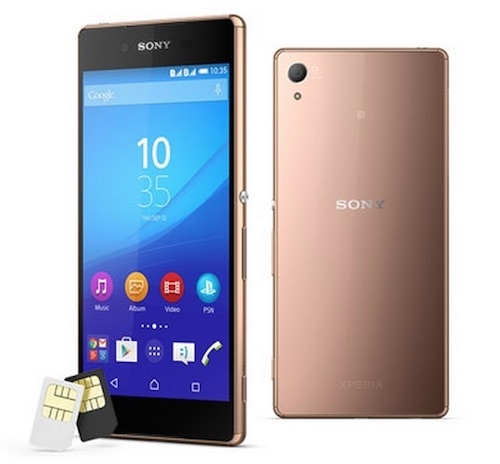 It looks like Sony Malaysia has finally brought in its latest flagship smartphone – the Sony Xperia Z3+. It is a dual-SIM variant, and is priced at RM2,599 inclusive of 6% GST. The Sony Xperia Z3+ is the international variant of the Xperia Z4 that was announced back in April 2015. It looks like a typical Sony Xperia Z-series smartphone, however, Sony has upgraded the internals with the latest and greatest hardware. Like the Xperia Z3, Xperia Z3+ features a 5.2” 1080p display. Sony has made some minor changes to the design like the relocation of the charging port to the bottom of the phone (and has removed that flimsy flap too), and the removal of the magnetic charging pins that was found on the side of the device on the past few generation Xperia Z-series smartphones. On the insides, the device is powered by controversial Qualcomm Snapdragon 810 processor coupled with 3GB of RAM and 32GB of expandable storage (up to 128GB microSD cards). Sadly though, Sony seems to have packed a smaller 2900mAh battery on the Xperia Z3+ though, they claim that it will still last for 48 hours. On the camera department, it still uses a 20.7MP rear camera, but the front camera has finally been upgraded to a 5MP shooter from the 2MP camera on the Z3. Other specs include LTE Cat 4, PS 4 Remote Play, Hi-Res audio, and runs on Android 5.0 out of the box. The Sony Xperia Z3+ is available for purchase immediately from Sony Malaysia’s online store and authorised resellers for a retail price of RM2,599 (black or copper only). 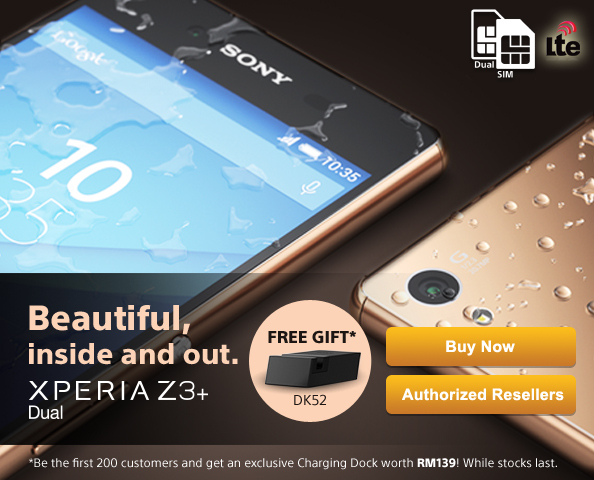 The first 200 customers will also receive a free Charging Dock (DK52) worth RM139. The Sony Xperia Z3+ has been facing some issues lately, and the cause is rumoured to be the Qualcomm Snapdragon 810 SoC. The Xperia Z4 (Japan variant of the Z3+) was reported to be overheating, causing the phone to be throttled, hence, getting a low benchmark score at AnTuTu of only 45,000. The Xperia Z3+ also encountered overheating issues when using the camera, causing the app to shut itself down while the device cools. Fortunately, since the Z3+ is water-resistant, I guess dunking it into a cup of water could help with the heating problem, but that’s definitely not a good solution in the long run. Will you still get the Xperia Z3+?